There’s so much to be grateful for this week. Life post-NSF-proposal is pretty great! 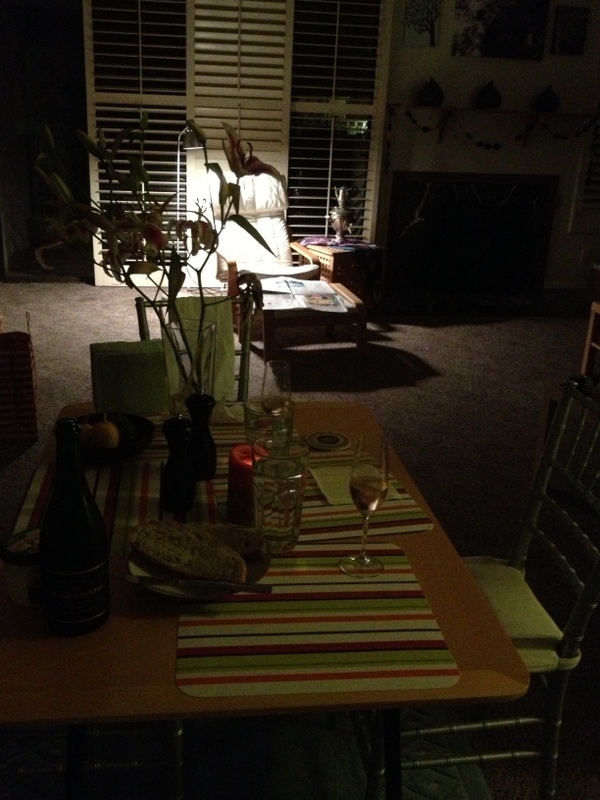 This was our candlelight celebration dinner, complete with champagne and The Decemberists. Well, sort of candlelit. The lamp helped too. 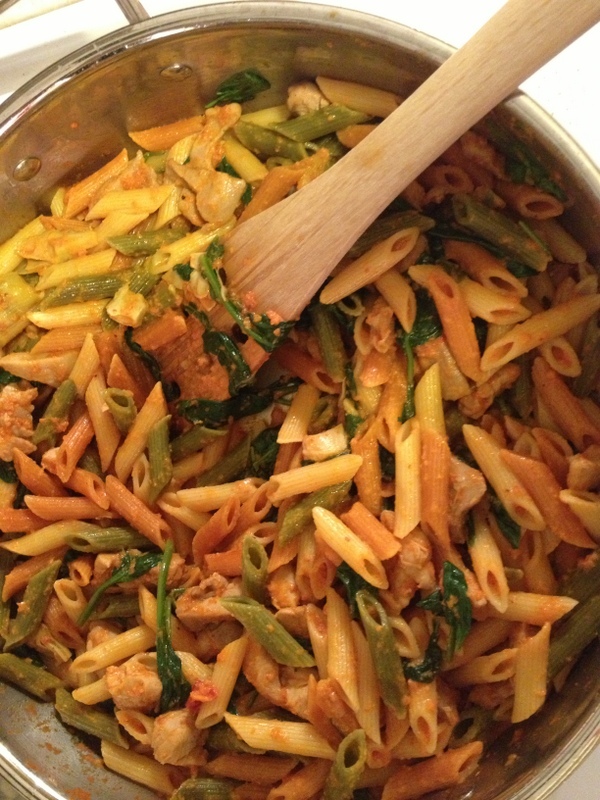 I decided to try to make sundried tomato cream sauce. It worked. So delicious! 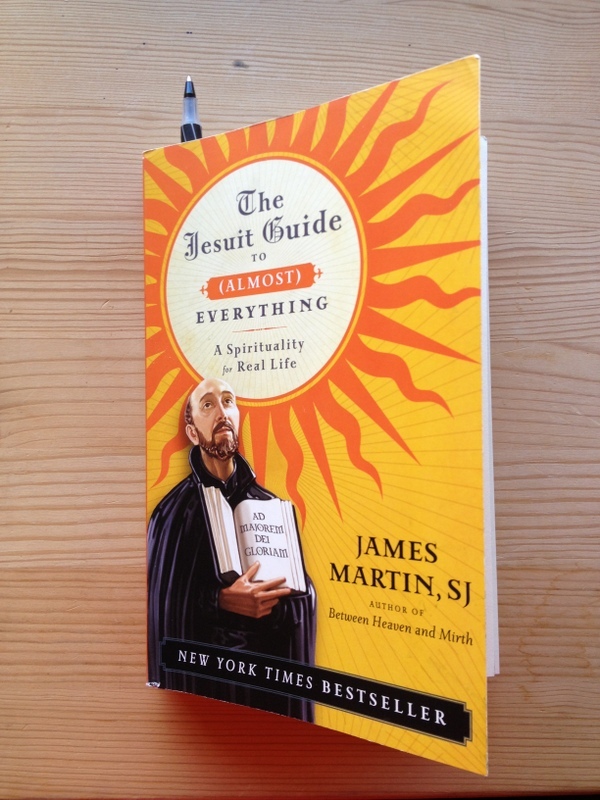 For the past five weeks I’ve been going to a series on Ignatian prayer at our church. It has been quietly revolutionary. This book was recommended for further reading, and I have been devouring it. So helpful, so informative, so funny. This week we’ve had a parish mission with an awesome priest from Australia. 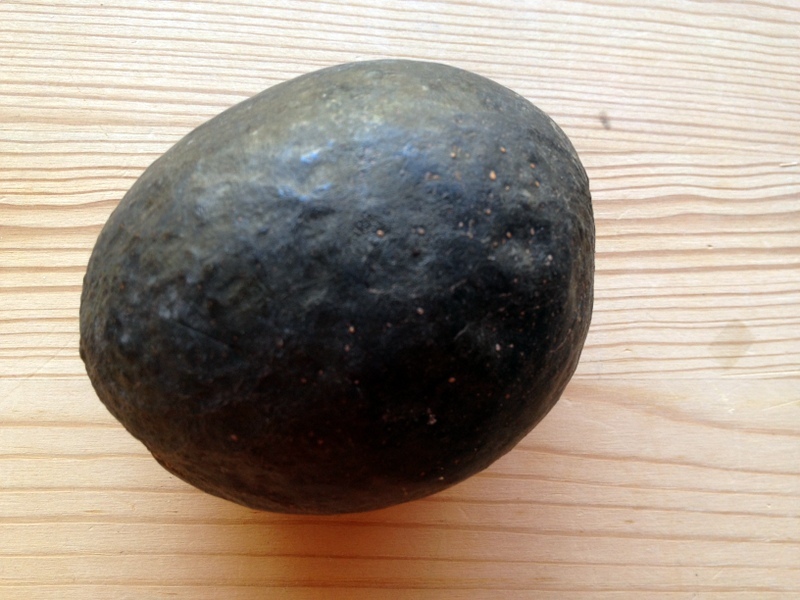 On Tuesday morning someone brought avocados from her tree and gave me one. So sweet. Last night I went to a talk by M.G. 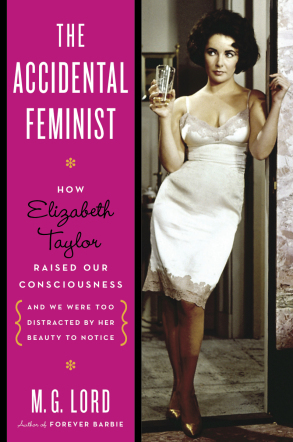 Lord on her latest book , which is about Elizabeth Taylor. Lord was vibrant and engaging, and I met some really nice ladies there. I have never seen a single Elizabeth Taylor film, but perhaps I should remedy that situation. Those ribbons up top are from a care package sent by Eric’s parents. They know how I love shiny things, and our Christmas in Nashville was so gloriously warm, fun, and loving that I think about it every day. So I love having this tangible accompaniment to that. They also sent my favorite cookies! 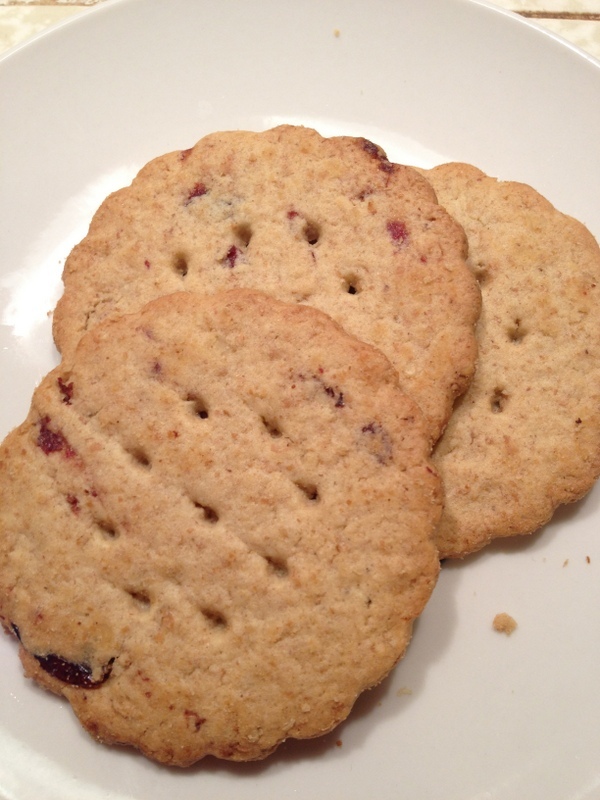 These are oat, citrus, and cranberry, and you cannot eat just one. This was especially sweet because our store doesn’t carry this flavor. Thoughtfulness runs in the family, for sure. 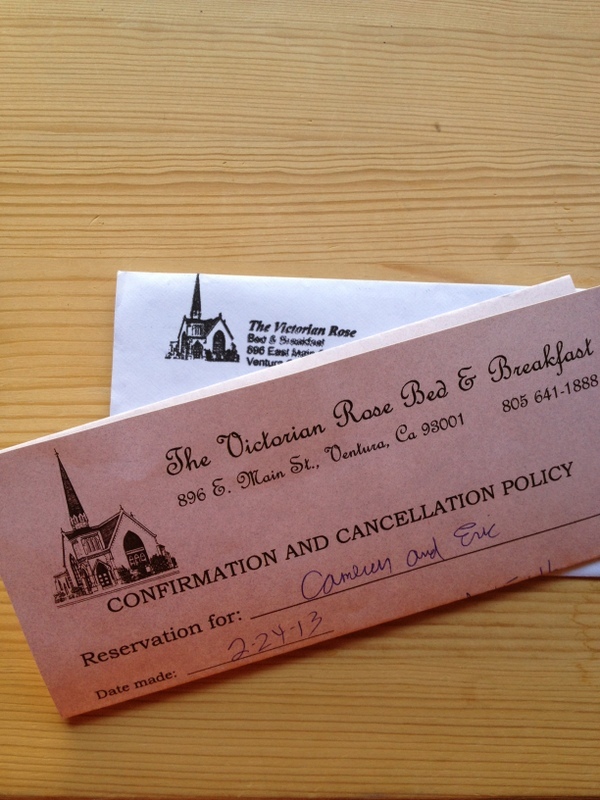 Today our confirmation came in the mail from the B&B where we’ll be staying in Ventura in March. I love that they do things so old school, with paper and ink. This B&B is a converted church! So excited for that. 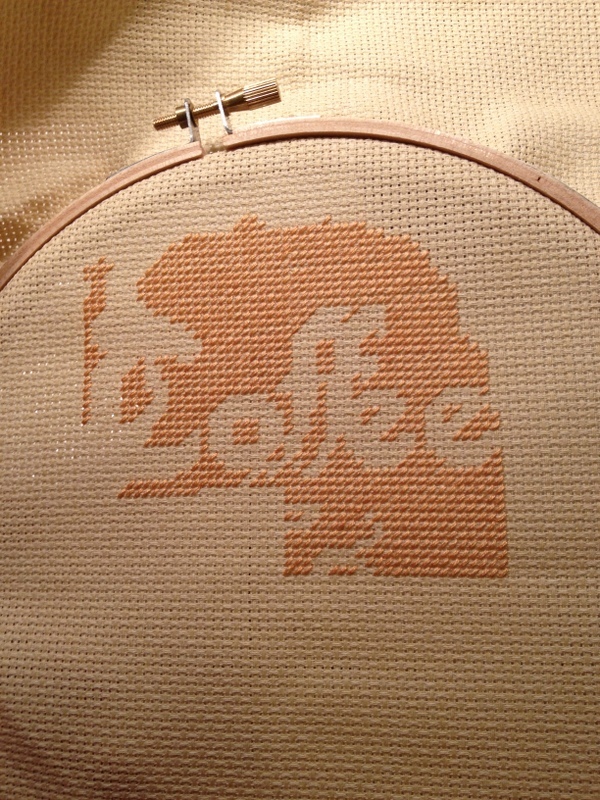 And finally, I have been working on a new cross-stitch project. This one is a sampler, and it is gigantic, so I will probably not finish it until the end of the year, but I am having so much fun with it. Can you see the theme emerging? These posts of bits and bobs are always so all over the place, but they are my very favorite ones to write, for this is what life really is, in all its beautiful non-cohesion. Each time I hit publish on one of them, I feel a bit more grateful that I get to live it. I love to see you cookin’ on all burners; that’s the Magpie Way! I love it too! Thank goodness for photos, which provide evidence that you’ve been up to way more than you remember! Oh my goodness, you must watch “Cat on a Hot Tin Roof” immediately! Paul Newman, Elizabeth Taylor…..What’s not to like? Thank you for the rec! Sounds awesome! “Quietly revolutionary” Hmmm, I can use that!!! I LOVE the way you say things. 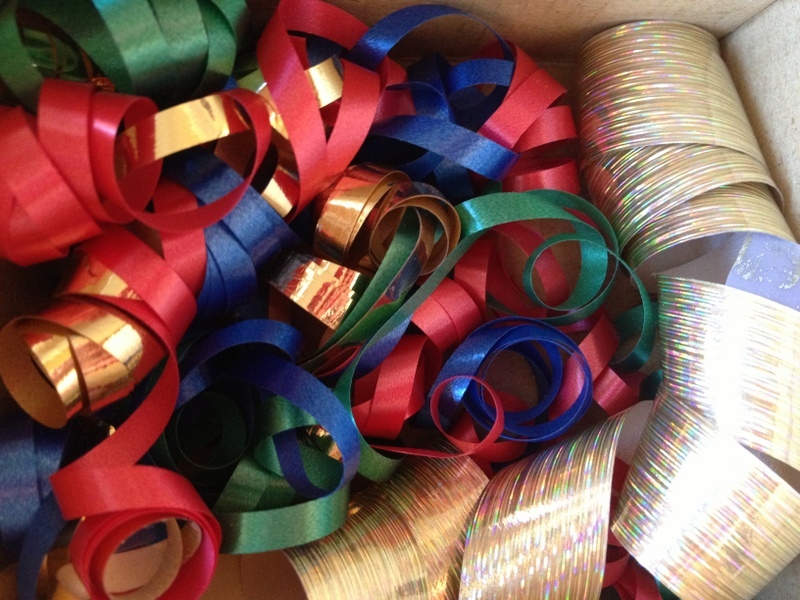 I also had a warm fuzzy when I saw the picture of the ribbons. 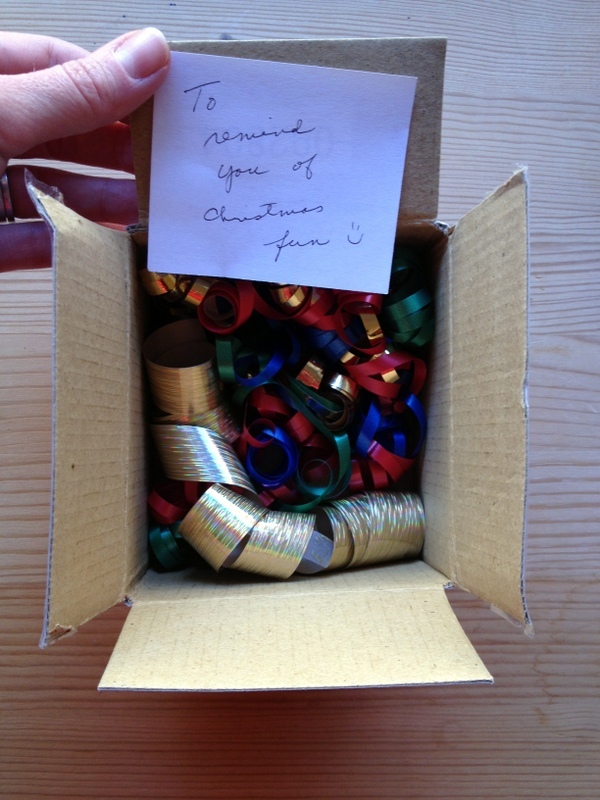 (I do the happy dance when I make the blog. Ask Dad!) Somehow, when I see something that was here and is now there, you feel closer and love envelops me. Ahhhh. I used to live near that B&B! How fun!